A break-in period is necessary for you and your feet to become accustomed to your new footwear and or inserts. It is not uncommon that you're initial reaction to the shoes is that they feel too big. Most people wear shoes that are too small. This weakens the muscular structure of the feet. Feet with weak muscles take time to get accustomed to a properly fit pair of shoes. 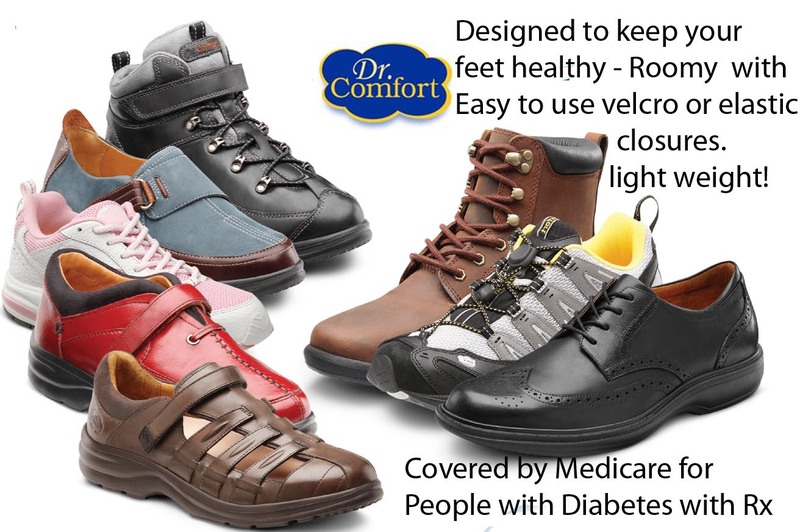 Many diabetic patients lose sensation in their feet and really cannot feel how shoes fit. If you discover any problems discontinue use and contact your podiatrist immediately. After approximately 2 weeks you should be able to wear your shoes comfortably. After the break-in period continue to examine your feet 3-4 times a day. Even without any problems, a follow up visit 2-3 weeks later should be scheduled for your podiatrist to check your shoes. Remember these shoes have been prescribed and dispensed because of your diabetic condition. You are an important part of the team protecting yourself against any foot related problems that diabetes can cause.